Southern California gets a bad rap when it comes to Christmas. Wherever it was that Norman Rockwell was hanging out, it wasn't anywhere near Pacific Coast Highway. But despite temperatures 40 degrees above freezing, a dearth of snowmen and incomprehension of eggnog, there are a handful of SoCal towns that know how to celebrate ol' Saint Nick's big day. Among them is Coronado, the crown jewel of San Diego County. The town, accessible to mainland San Diego by a bridge of the same name, is a festive neighborhood of merry souls. And a military base. But mostly merry souls. Orange Avenue is effectively a Main Street, lined with mom-and-pop shops and restaurants, as well as a park encircling a showcase gazebo. 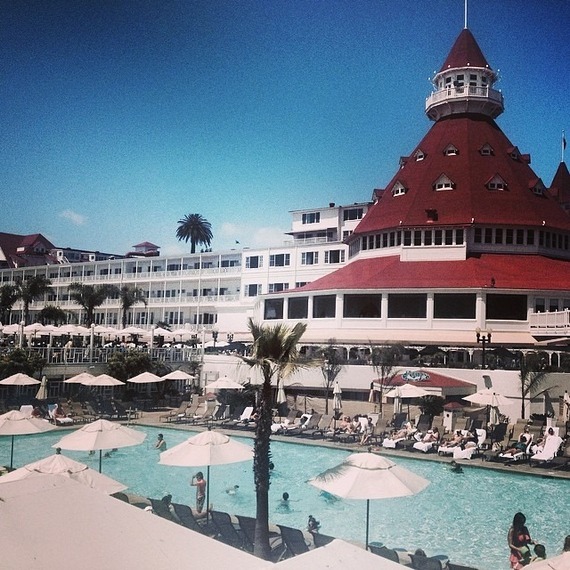 The avenue is also home to the iconic Hotel del Coronado, which is Christmas central in these parts. 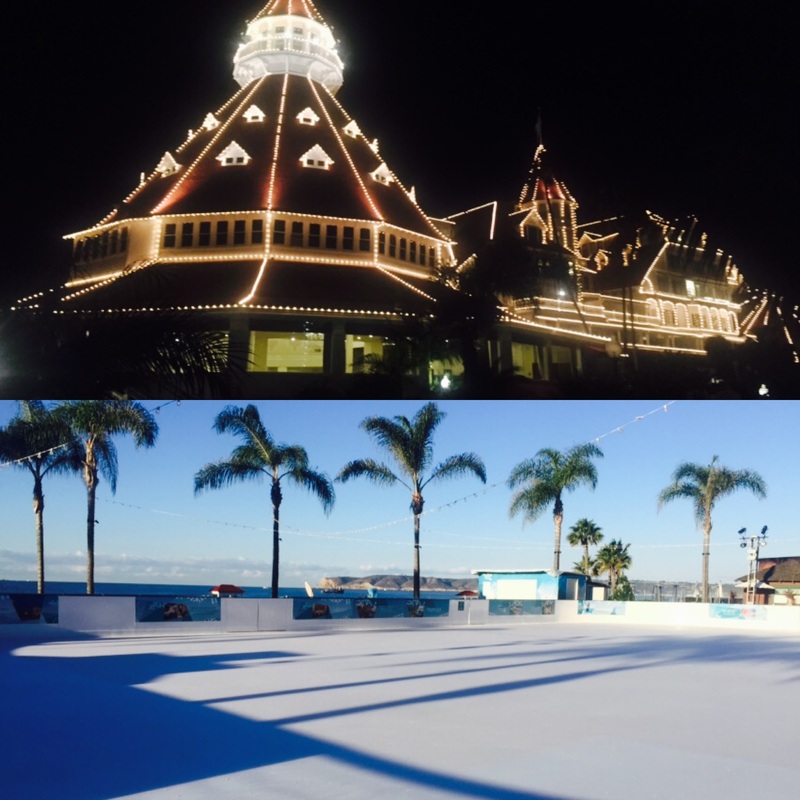 The Del, as it is affectionately known, bars no holds when it comes to celebrating the season. Going on now is De-Lights, a stunning light show set to music in the courtyard of the 125-year-old landmark. And while the good people of the tundra skate on frozen ponds in 20-below weather, the ice skating rink here is surrounded by palm trees, overlooking a white sand beach. Hot cocoa and cider are also available, but shadenfreude-filled Midwesterners ready to tsk-tsk about the apples, sorry -- the northeastern part of this county is home to the renowned orchards of Julian. So, yes, even the apple cider is better. 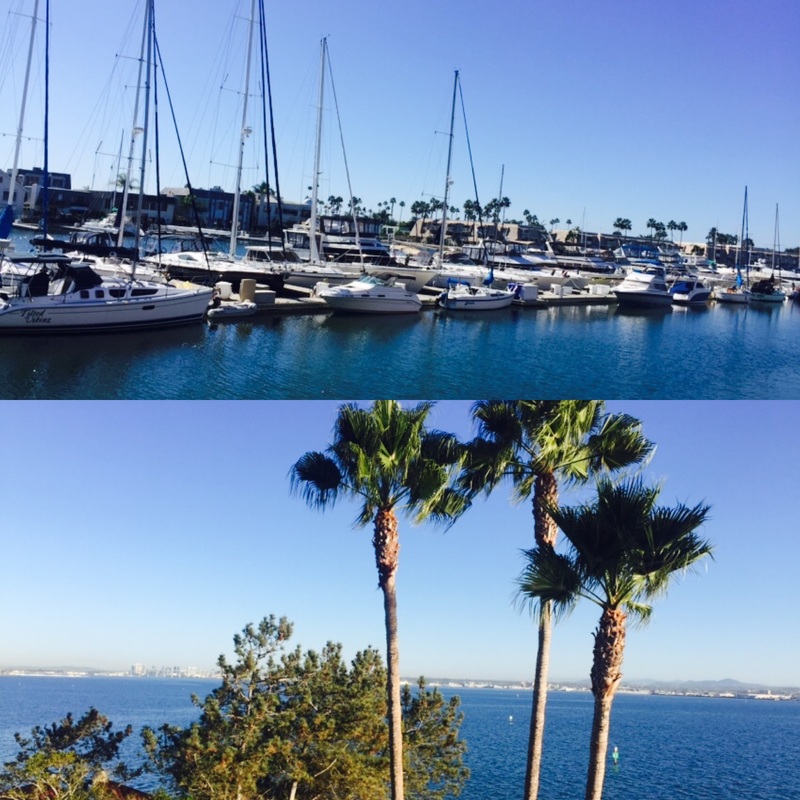 Further down the road, at the north end of the Silver Strand peninsula, is the Loews Coronado Bay Resort, and what it lacks in history, it makes up for in friendly service. The hotel offers stunning views of the bay, upon which sailboats drift in the breeze in the afternoon sun. Set sail yourself, or take out a motorboat if that's more your speed, or a jet ski, kayak or paddleboard. If you're looking for something a little more romantic than a waverunner, how about a gondola with a violinist? And what would the Christmas season be without good food and a full glass of cheer? And speaking of good cheer, you can start with happy hour at Vigliucci's, which features a robust martini and wine list. 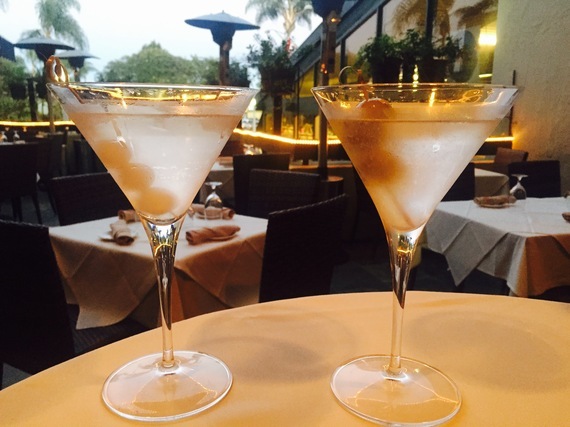 The Loews is also home to the award-winning Mistral, an annual critics' choice as one of the top 10 restaurants in San Diego. The cedar-plank Scottish salmon with Brussels sprouts is a can't-miss, by the way. ENO Pizzeria & Wine Bar at the Del is the best place in town for wood-fired pizza and a bottle of vino. The fig-and-pancetta is a sweet and savory blend of flavors topped with arugula, while the funghi boasts a variety of delicious mushrooms in melted cheese on a crisp crust. If beer is how you celebrate the season, then Coronado Brewing Company is just the place. In addition to a bountiful array of small-batch craft beers, the family-friendly joint serves up large portions of American food fit for an American appetite. Their burgers and sandwiches are to die for, but the heaping plate of nachos is not to be attempted alone. And for a true San Diego experience, get the fish tacos. Don't let the warm weather fool you, a Coronado Christmas is just as festive as anywhere where roads require chains, cars don't start, ponds freeze over and beaver pelts are worn on heads.